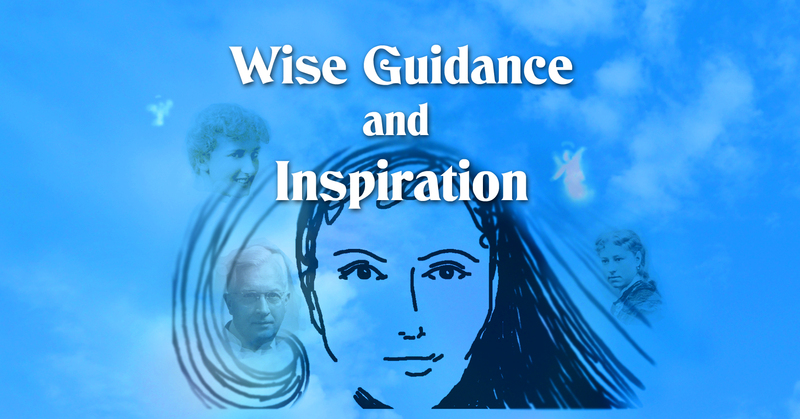 Wise Teachers, Spirit Guides or Loved Ones, what’s the difference? Saturday, Nov 10, 2018, 6:00-8:00pm: LOVING WISDOM EVENING at Mimi’s in Narragansett, RI. Potluck at 5:00pm. Program begins at 6:00pm. See more about these events at LovingWiseOnes.com. Slower-paced, small-group tour. Limited to 12 participants. All inclusive. Tuesday, September 25, 2018, 7:00-8:00pm: READING & BOOK SIGNING with Ruth Shilling, sponsored by The Literary Salon of Westerly, Rhode Island. Ruth has authored nine non-fiction books. She will be reading excerpts from “SUCCESS with the Violin & Life” and “Through A Medium’s Eyes” and taking questions from the audience. Saturday, Sept 15, 2018, 2:00-5:00pm: SPOON BENDING with RUTH SHILLING at the Zen Beauty and Reiki Center, Barnstable, MA (mid-Cape). Contact (508) 737-8780 for details. Saturday, Sept 8, 2018, 6:00-8:00pm: LOVING WISDOM EVENING at Mimi’s in Narragansett, RI. Potluck at 5:00pm. Program begins at 6:00pm. See more about these events at LovingWiseOnes.com. DETAILS BELOW and on Lily Dale’s website. September 15, 2018: Spoon Bending & Manifestation, Centerville, MA (mid-Cape Cod). 2:00 – 5:00 pm. July 7, 2018: Loving Wisdom Evening at Mimi’s in Narragansett, RI. June 2, 2018 : Evening of Loving Wisdom Evening at Mimi’s in Narragansett, RI. May 11, 2018, Friday : Spring Psychic Fair – Aura Readings & Life Path Readings, 6:30-9:00 pm, Warwick, RI. May 5, 2018, Saturday : Loving Wisdom Evening at Mimi’s, 6-8 pm, Narragansett, RI. April 28, 2018, Saturday : Medium’s Day, 1-4 pm, Church of Peace & Light, Mystic, CT.
April 13-15, 2018 : Weekend at Clover Hill Holistic Arts Center, Richmond, Virginia. 4 workshops, plus private readings. See workshop descriptions below. More information & registration. Private sessions with Ruth: $40/30 minutes. Join Ruth Shilling, M.M., for an evening of expanded connection with guidance that is loving wise, and helpful. The evening will be in four parts. Ruth will begin by sharing some of the latest teachings she has received from the spirit guides and teachers. She will also create a deeper experience for you through her Inspired Song, bring through wise ones in spirit so that people can dialogue with them, and lead you in a meditation for connecting with your own inner guidance. It can be helpful if in the days before the workshop you think about any important questions you have about your own life situations. This can focus the guidance that will be coming through for you on the evening of the workshop. You can bring a journal to write down what comes to you throughout the evening. There will also be paper and pens available at the workshop if you don’t have a journal with you. There is so much beautiful help for each of us, just waiting to be received. The air will be thick with possibility! 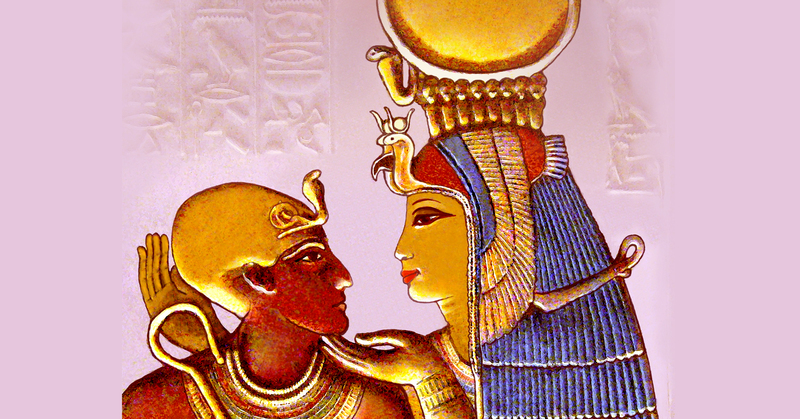 The hieroglyphic symbols that make up the names of the Ancient Egyptian gods and goddesses are like keys that unlock the vibratory essence and character of these powerful deities. During the opening slide show, Ruth will explain and illustrate the significance of the sacred glyphs, and show how they create unique signatures which enable us to know each of the deities in an intimate, immediate and personal way. As you listen and watch the slides, you may already feel a draw towards one or more of the gods or goddesses. You will get to explore this more deeply in the second portion of the workshop – a guided journey both to commune with the Ancient Egyptian deities and to experience your own transformation in the Great Pyramid of Giza. 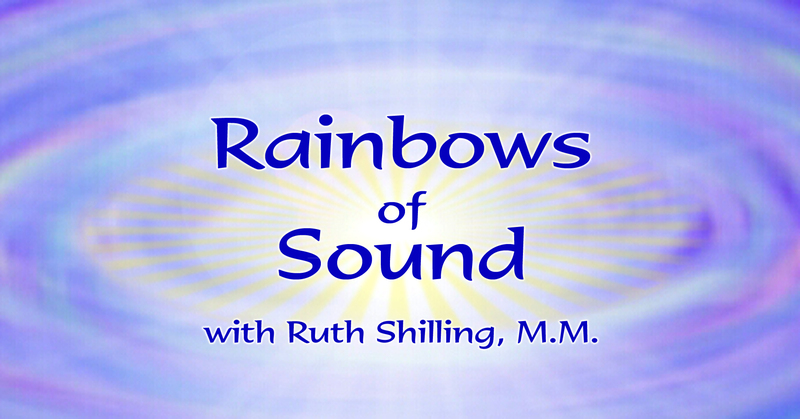 Ruth guides and sings you through this multi-faceted vibrational experience into sacred realms of potency and potential. Some participants may want to lie down during the journeying time, so bring a blanket and pillow, if you would like. And don’t forget to fasten your seatbelts! This is an adventure wrought with possibility. What we perceive as white light actually contains all the colors. A crystal separates light into a rainbow spectrum that we can see. Likewise, sounds that we hear, both musical instruments and voices, also contain a spectrum of sounds called overtones (though we are only aware of one note at a time). In the art of overtone singing, we ourselves become like a crystal that separates out these sounds and makes them audible. This workshop will include an intellectual explanation of overtones (also called harmonics), a guided meditation/journey into the Rainbows of Sound, and your own personal experience using different methods of singing the overtones yourself (don’t worry, you won’t be called on to do it alone!). There will be a slide show and handouts explaining the physics of how overtones work. Understanding is good, but there is a sense of awe when one actually experiences it. Hearing the inner dimensions of a sound revealed is truly sacred. Another benefit is that when you are singing the overtones yourself, they resonate and stimulate different parts of your brain. With that enhanced vibration comes experiences of broadened perception, clarity, and ecstasy. Become the crystal that you truly are and reveal the rainbow of sacred sounds within you! Spoon Bending is soooo much fun! It’s a great feeling when the spoons (and forks) become so flexible that you can bend them like taffy! Ruth will explain it all first, and then the action starts. And yes, YOU can do it! If someone doesn’t get it right away, Ruth will work with them until they do. So far she has a 100% success rate, so that includes you! And if a rigid spoon can change to being flexible for you, then maybe there are other things in your life that can change, too. 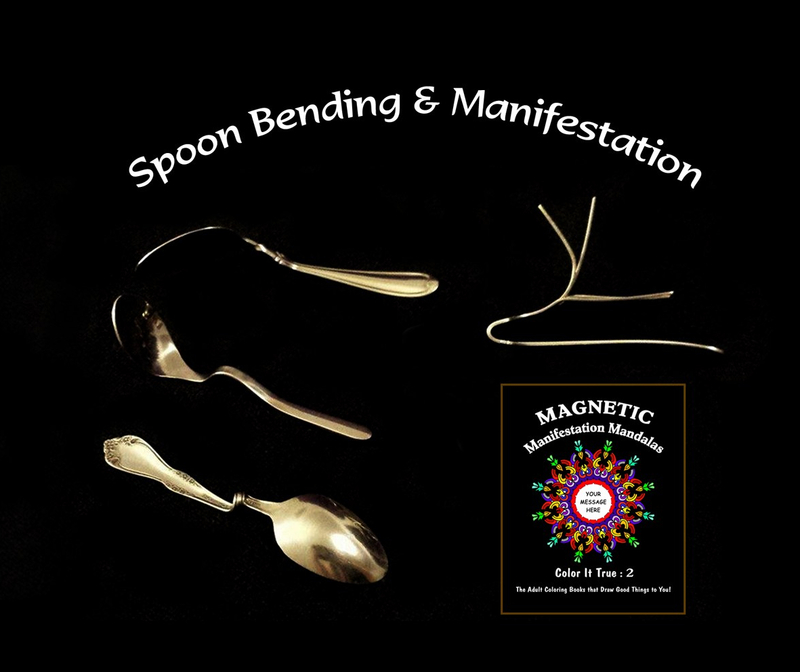 After the spoon bending, we will do some manifestation processes to send you home with tools for living a more abundant and satisfying life. Natural laws of creation will be explained along with suggestions for crafting a prayer or affirmation to place in the center of one of the Manifestation Mandalas from Ruth’s coloring books (books are included). After people have written what they would like in the mandalas, the prayers will then be blessed by the entire group. There is joy in both creating and blessing the desires of others! Ruth will bring spoons for everyone but people can also bring their own. You can also bring colored pencils or felt pens. You’ll have both a bent spoon and a blessed manifestation mandala to take home with you. Come join in the fun! Ruth will give mini aura-readings and be selling her books, Egyptian Gods and Goddesses Cards, Hieroglyphic Blessing Shirts, and some other goodies from Egypt. Dates are below. Join Ruth Shilling for an evening of expanded connection with guidance that is loving, wise, and helpful. Ruth will share some of the latest teachings she has received, create a deeper experience for you through her Inspired Song, bring through wise ones in spirit so that people can dialogue with them, and lead you in a meditation for connecting with your own inner guidance. You are welcome to bring a journal and/or art materials, however, these is not needed. Location: Mimi’s in Narragansett, RI. If you need directions, contact Ruth by messaging the “Ruth Shilling, Inspirational Medium” Facebook page. Time: Join us for a potluck at 6:00pm or just arrive shortly before 7:00pm* for the event. We will plan to finish about 8:30pm. *Ruth starts these events on time. Ruth’s books and “Egyptian Gods and Goddesses Cards” will be on sale. SPOON BENDING Party! And yes, YOU will bend spoons and forks! LOVED ONES, SPIRIT GUIDES OR WISE TEACHERS? *Please note that Ruth Shilling does not give medical advice or future predictions.